Exclusive: Russia will celebrate the Allied victory over Nazism on Saturday without U.S. President Obama and other Western leaders present, as they demean the extraordinary sacrifice of the Russian people in winning World War II a gesture intended to humiliate President Putin, writes ex-CIA analyst Ray McGovern. Though designed to isolate Russia because it had the audacity to object to the Western-engineered coup d’Ã©tat in Ukraine on Feb. 22, 2014, this snub of Russia’s President Vladimir Putin like the economic sanctions against Russia is likely to backfire on the U.S. and its European allies by strengthening ties between Russia and the emerging Asian giants of China and India. Notably, the dignitaries who will show up at this important commemoration include the presidents of China and India, representing a huge chunk of humanity, who came to show respect for the time seven decades ago when the inhumanity of the Nazi regime was defeated largely by Russia’s stanching the advance of Hitler’s armies, at a cost of 20 to 30 million lives. German Chancellor Angela Merkel caught between Washington’s demand to “isolate” Russia over the Ukraine crisis and her country’s historic guilt in the slaughter of so many Russians plans to show up a day late to place a wreath at a memorial for the war dead. Beyond simply ignoring facts, the U.S. mainstream media has juggled the time line to make Putin’s reaction to the coup and the threat it posed to the Russian naval base in Crimea appear to be, instead, evidence of his instigation of the already unfolding conflict. But there was not one scintilla of reliable evidence that Putin intended to annex Crimea before he felt his hand forced by the putsch in Kiev. The political reality was that no Russian leader could afford to take the risk that Russia’s only warm-water naval base might switch to new NATO management. If top U.S. officials did not realize that when they were pushing the coup in early 2014, they know little about Russian strategic concerns or simply didn’t care. Much of this American tendency to disdain other nations’ concerns, fears and points of pride go back to the Washington Establishment’s dogma that special rules or (perhaps more accurately) no rules govern U.S. behavior abroad American exceptionalism. This arrogant concept, which puts the United States above all other nations like some Olympian god looking down on mere mortals, is often invoked by Obama and other leading U.S. politicians. The irony is that as the cameras pan the various world leaders in the Red Square reviewing stand on Saturday, Obama’s absence will send a message that the United States has little appreciation for the sacrifice of the Russian people in bearing the brunt and breaking the back of Hitler’s conquering armies. It is as if Obama is saying that the “exceptional” United States didn’t need anyone’s help to win World War II. Without the best Covered SECRET Background FACTS , “revealed by Valentin KATASONOV” in “Voltairnet.org” , on basis of the 2912 released “secret DOCUMENTS ; BUNKERED by the “BANK of ENGLAND” ; American BEHAVIOR appears somehow Strange ! Taking into CONSIDERATION , that “Obama” is just the “Talking HEAD” for the “Secret Owners and GOVERNORS” of the “FEDERAL UNION of the “United States of America” — “ROCKEFELLER & ROTHSHIELD” , the intended “HUMILIATION – inducing BEHAVIOR” suddenly makes SENSE ! Just noting the error in Ray McGovern’s valuable post: the Battle of Stalingrad was in 1942-1943. Today I’ve been watching 70th Victory Day in Moscow and again I loved every minute of it. Especially the fact Russia indeed honours and celebrates his veterans. It became joyous celebration in which millions of people took to the street with pictures of their relatives that lost their lives in WW II. Also President Putin joined in the mass demonstration carrying the picture of his father. It sure was an impressive day to remember. On top of that more than 60% of the World population was represented by their leaders or almost 4 billion people. This Victory Celebration was a sign for Peace but also a warning to the USA/NATO NOT to fool around with Russia. President Putin is making sure that ANY aggression from the West will be stopped at the Russian border and he can count on 85% of the Russian people. The Moscow celebration of the defeat of Nazism/Fascism was in sharp contrast to June 6, 2014 celebration of the Normandy landing which was obviously organized by Hollywood professionals and lack the spontaneity of the Russian people ALL over Russia including in East Ukraine cities of Donetsk and Lugansk. Russian people are proud people and proud that the defeated the Nazi’s long before the Allied forces landed on the beaches of Normandy. Let’s NOT forget this and let’s give the Russian people our respect and give them credit for these accomplishments their 23 million casualties deserve that. I watched the parade live on RT, and was glad I did. While acknowledging my ambivalence about any military display on this scale, it was extremely impressive, historically and emotionally resonant, and rather enjoyable. * Presidents Putin and Xi being so chummy, with the president of India in attendance as well. * The absence of Western leaders and troops, the topic of this post, showing not only a shabby attitude to shared history, but also self-righteous petulance about the Ukraine crisis that they themselves instigated, as well as deer-in-the-headlights immobility in the face of new geopolitical realities. * As the RT military commentator noted, this was the first time that legacy Soviet hardware was clearly being superseded by new, advanced weapons such as the Armata vehicles. The WaPo/AP may think the T-14 tank is a joke; I doubt the Pentagon agrees. 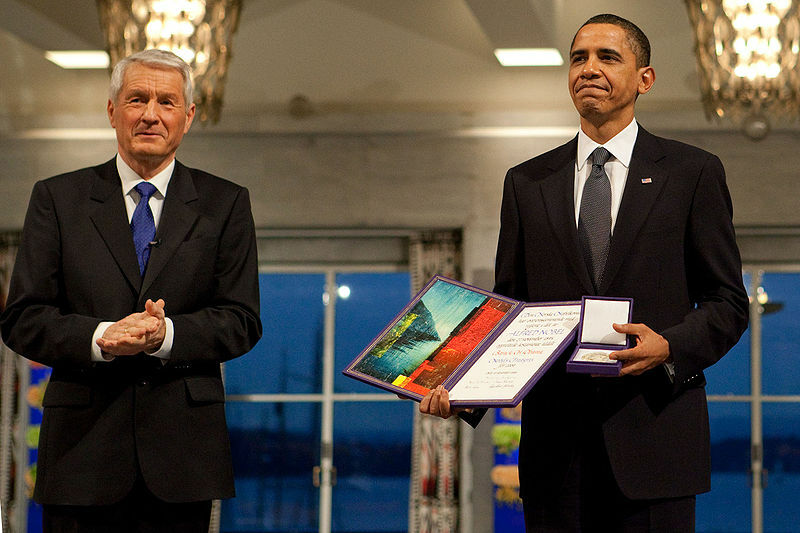 What Ray neglected to mention, above, is that Mr Obama is by no means a novice at snubbing the Russians ; half a year before the US-sponsored 22 February 2014 Kiev putsch occurred and while this gift to world peace was still in its planning and implementation stage, his government managed to do so by backing from a meeting to be held between him and his Russian counterpart, Mr Putin, and visiting us here in Sweden instead (http://www.cbc.ca/news/world/obama-cancels-moscow-summit-with-putin-in-rare-snub-1.1399673). (We did, however, benefit from this strange change in plans, as air pollution levels in certain areas of Stockholm decreased during the visit, as motor cars were banned from certain Â«strategicÂ»streets – every cloud …) As the putsch and its aftermath had not yet taken place, other reasons had to be found to justify the snub and, indeed, were immediately trotted out, e g, that Edward Joseph Snowden had been offered temporary asylum in Russia after revealing to journalists, the extent of NSA spying on the world + dog…. Mr Obama and his administration seem to have been – and continue to be – living in the illusion that all others believe in US exceptionalism with Â«every fib[re] of [their] being[s]Â», and that meeting with other statesmen is an indulgence from the Highest, rather than a necessary component of inter-state diplomacy…. For the sake of clarity : the Â«RayÂ» who I mention in my comment above is the honourable Raymond McGovern, the author of the article of which this is the commentary thread, rather than the poster employing the given name Â«RayÂ» to exhibit her/his sympathy with the German victims of WW II…. What the Russians (and, to a slightly lesser extent, the Western powers ) did to the innocent people of Germany during and after WW2 was beyond disgusting and not worthy of ANY praise. I’ve been a great admirer of your work for a long time, but an oversight or outright ignorance of true history on this level is inexcusable. I recommend that you and all who read this read “Hellstorm”. There was nothing good about “the good war”. Oh that ruthless invasion of the Soviets into peace-loving Germany… And all those gas chambers that Russian set up for the poor Germans. You probably learnt your history from Mr. Yatsenyuk. When the world finally tires of the hell that America’s government has put most of the rest of the world through and invades her, it will be you (if you are ‘Murcan) and I that suffer as the civilians of Germany did. Your ignorance is on full display. Bravo. You’re inventing a false equivalence and frankly I recognize your sources as one too many holocaust deniers. Then advocating that America be invaded and suffer doesn’t help your case. Get your head around what the Nazis did in the east. Then feel perfectly free to document Soviet and US abuses during the war, but Nazi Germany simply did not suffer at the hands of the Soviets the way the Soviets suffered in the Nazi invasion. “My sources”? Aside from recommending a book, what sources did I cite? One could look into the reality of the Morgenthau plan or what Patton had to say about the occupation for starters. You obviously have trouble with reading comprehension. I did not advocate an invasion of America. I abhor all war. There are no heroes in war and no one wins but the banks and war profiteers. If you must reply, please think first. Claims about the Morganthau plan are based on speculation, not an implemented plan. No one is disputing that Germany suffered, but it’s your false equivalence that’s the problem. Were Germans poor and starving after the war? Yes. Was the point kill all Germans? No. So entirely unlike the Nazi invasion of Slavic lands. Slavs were to be killed or enslaved. And jews and gypsies killed immediately. Your bringing up the “Morganthau plan” tells me your sources are the typical Nazi apologist holocaust deniers. I’d treat a citation of “Ice Breaker” more seriously. Patton also wanted to invade the USSR, a stupid idea, outside of the betrayal involved. Napoleon and Hitler failed to invade Russia, and Patton knew why. Nuclear weapons would have meant nothing. What the Russians (and, to a slightly lesser extent, the Western powers ) did to the innocent people of Germany during and after WW2 was beyond disgusting and not worthy of ANY praise. Baloney. The Germans got a tiny fraction of what they’d done in the USSR and elsewhere. The US should be made much more aware of one leading US family’s support for Hitler both leading up to, and during, WWII. Along with other US businessmen, Prescott Bush, father of one US president and grandfather of another, not only helped Adolf Hitler’s Nazi party rise to power, but he didn’t stop helping until he was forced. His company’s assets were seized in 1942 under the Trading with the Enemy Act. That he managed to avoid prosecution should come as no surprise to Americans today. History seems to be repeating itself with US politicians and businessmen helping another group of Nazis to grab power in Europe. We Europeans should be very wary indeed and try to repair fences with our Russian neighbours while there is still time. As for the citizens of the US, they should be very concerned by news that the super-rich are already securing bolt holes in faraway New Zealand, one of the Southern Hemisphere nations that will be a lot safer in the event of any nuclear conflagration. If the super-rich don’t have any confidence in the world they have created, why should the rest of us? Nowhere is particularly safe in the event of a large scale nuclear war. It’s not news that various Americans (Dulles brothers) supported Hitler in the 1930s. Nor is point about Prescott Bush unknown. I believe early in the war, Chase (Rockefeller) got caught trading with Nazi Germany through a Paris office. Also it wasn’t simply Prescott Bush trading with Nazi Germany during the war, it was Brown Brothers Harriman, and that last name is big in the democratic party, as in Johnson’s ambassador to South Vietnam. On January 30, 1933 Hitler was named the Chancellor of Germany. Before that his candidacy had been thoroughly studied by American bankers. Hjalmar Schacht went to the United States in the autumn of 1930 to discuss the nomination with American colleagues. Hitlerâ€™s appointment was finally approved at a secret meeting of financiers in the United States. He spent the whole 1932 trying to convince the German bankers that Hitler was the right person for the position. There are a lot of “ifs” in that link. Also for what its worth the Nazi party was elected in 1933. It’s also not news that many powerful companies in the US thought they could work with Hitler. Obama is a lousy human being and the degenerates in Washington have zero respect from the vast majority of governments. They fear Washington’s violence not its intelligence or sophistication as there is none. You think Obama is bad? Just imagine what Ronny or GWBush would do. He effectively spat on the 26million+ people who died getting rid of the Nazi curse! It’s worth noting that Neocon warmonger GWB attended the celebration in Russia ten years ago. That’s right, folks. The Obama administration is even more right-wing, and even stupider than the GWB administration. The elephant in the room is, how likely is Russia to send a gigantic EMP gift to America after getting pushed around like the punk across the street for so may years. This single act of war will cripple American, well everything. After the power grid fails and every electronic tool in American life has become garbage, how will we survive the famine and chaos inevitable? The military would be lucky to manage survival, much less defend us from a large scale invasion, the pickings would be slim and the dead bodies would be many. Exceptional America is and idea that will be the death of us. Why the distraction with the invocation of sci fi weapons? Reading a bit too much Newt Gingrich there. Also if some weapon like that exists what makes you think that only Russia has them? They’re real enough, but are classified to a degree that I’ve found it impossible to get any reliable information. I’d guess they’re extremely dangerous, but the fact that everybody with atomic weapons will have their own EMP devices for retaliation probably makes them too dangerous to use. An exception would be a “false flag” operation by one of the smaller nuclear powers. Things could get real bad, real fast. That the neocons are poking the Bear is beyond-belief nuts. The US has some major vulnerabilities, and the Russians have had since the start of the Cold War to investigate and plan to exploit them. Um, did you not read my second paragraph? Top US and European government officials “know” about Russian strategic concerns and “care” to the precise degree that they oppose them throughout Western Eurasia. A story now appearing at russia-insider.com entitled, “Was Nuland Pressuring Yanukovich into EU Treaty With Threat to Imprison Oligarch Ally?” has been making the rounds. I attempted to post a comment regarding this bizarre manifestation of Nuland’s diplomatic savoir faire on a previous article, but it was blocked. Apparently, the article purports a relatively elaborate extortion scheme to have an Austrian court extradite the aforementioned oligarch to the US unless Yanukovich agreed to the EU alignment deal. According to one version, a tape was made of the meeting which was then transcribed. According to the supposed transcript, Yanukovich leaves the room to take a phone call, at which point Nuland says to Pyatt, “We’ve got this guy by the f***ing balls.” When Yanukovich backed down, it would seem that the decision to implement the Pravy Sektor/Svoboda Party destabilization campaign was formalized. Of course, I have no way of ascribing authenticity to this account, but it seems consistent with what we’ve seen. After the disintegration of USSR, the most despicable, corrupt and fascistic of the former Warsaw Pact nations suddenly became our “allies”. As a descendant of Ukrainians herself, Ms. Nuland appears to understand exactly how they do business. It reminded me of that story about Otto Skorzeny and his mission to kidnap Miklos Horthy. Plus ca change, plus c’est la meme chose. I’ll be really aggravated if I hit the ‘submit’ button, and I get, “Please enter the correct CAPTCHA code”. I’m not the smartest guy in the world, but I do know how to subtract three from eight. Best, F. G.
I’ve had much trouble with the CAPTCHA message too. I would not like to have my balls in Victoria Nuland’s hands. I doubt she would have any pleasant intentions. A fluid speaker of Arabic and French, he holds a B.A. in International Political Economy from Stanford University. Often I gripe when there isn’t a link, but not for the MacFarquhar article. It was just awful, and the snippit above may explain why that’s so. There is no reason to suspect the man knows anything at all about WW2 except what he could grab from a quick google search. But Obama, in his childish display of temper, will look rather small to those who know the history of the Allied victory in World War II. If it were not for the Red Armyâ€™s costly victories against the German invaders, particularly the tide-turning battle at Stalingrad in 1943-1944, the prospects for the later D-Day victory in Normandy in June 1944 and the subsequent defeat of Adolf Hitler would have been much more difficult if not impossible. “Childish” is probably the kindest term which can be used for BHO. As for the second sentence, the Red Army unfortunately had a lot more costly defeats than victories in the early part of the war. Turning things around involved massive help from the Western Allies. Not so much Lend Lease in the early years, but there was the promise to Germany that if that nation used poison gas in Russia, the Allied Air Forces would do the same against Germany. And then there was Operation Torch. It’s often forgotten that this early offensive in North Africa siphoned off the materials and men which might have been sent to Stalingrad. More German troops surrendered in North Africa than did at Stalingrad. In the unlikely event the Soviet Union had dropped out of WW2 after mid-1943, it’s my opinion the Western Allies would have won. But the victory would have been more expensive for all concerned. By then the Manhattan Project was in full swing, and had the war continued Berlin would have been the first city to be destroyed by the new weapon. The same bombs, used tactically, would have blasted holes in the Atlantic Wall. It would have been very ugly, and many of us with WW2 ancestors wouldn’t be around today. Um, the Nazis had jets that worked, and long range missiles. So if the Soviets had made a separate peace and sold the Nazis oil then the war lasts much longer and the those better Nazi weapons are fully deployed, and the USAAF is destroyed. And missiles start to hit NYC and Washington DC. Then there’s the huge problem that the Nazis wanted Soviet lands, oil, wheat, etc. And it’s Soviet not Russian. Then as for Soviets continuing in the war, well those Soviet tanks sure helped defeat the Nazis, and only a fool thinks that’s some insignificant to the whole war. Nuclear weapons, not so easy to use if you (the USAAF) can’t fly a plane anywhere near Germany–which would likely have been the case if the war continued well into 1946. Then there are other problems with that story. Um, the Nazis had jets that worked, and long range missiles. The western Allies had jets that worked too, and I’d hardly call the range of the V2 “long”. Anyhow, the German jets were powerful weapons when they got into the air, but that was a very big problem, what with the Allied fighters lurking near their landing spots. I doubt if the Allies could have copied the V2 in less than several years, but then they had no real motive to try. Just an opinion, but by late 1945 the Germans would have experienced a very heavy bombardment by their very own V1, for the Allies had captured nearly intact aircraft and had begun mass production of the Republic-Ford JB-2. Had the invasion of Japan happened, that nation was scheduled to get hit by 75,000 buzz bombs. Making a longer-range model would have been quite simple, IMO. No, the Allies had jet engines that worked, and one small plywood bomber. The Germans had much more advanced jet planes–flying. And basically had the Korean war F86/Mig 15 on the drawing board. You seem to think the Germans didn’t have other longer range missiles in the works. And they most certainly had ICBMs under development. The Germans also had a few very long range bombers, which of course couldn’t really fly much in say later ’43/’44. But from Norway they’re ostensibly supposed to have done test flights as far as New York. They looked a lot like the later American B36. The war in the pacific is different matter, and the Germans and Japanese weren’t sharing vast resources. They barely met up during the war–basically only in Japanese occupied Indonesia. The Meteor first flew in 1943 and commenced operations on 27 July 1944 with No. 616 Squadron RAF. Nicknamed the “Meatbox”, the Meteor was not a sophisticated aircraft in its aerodynamics, but proved to be a successful combat fighter. That’s news to me that the Meteor is considered a successful fighter plane. Though I’m sure it flew well enough. Yes, the engines were very good. But the Germans had the devastating ME 262 in operation–albeit with engines that had to be rebuilt frequently. You can read up on why the Messerschmidt was a better plane than the Meteor. Then unlike the UK and USA, the Nazis had figured out the swept wing thing, during the war. This is hugely significant. And it’s a point you keep ignoring. By November 1942, the Germans occupied most of Stalingrad, pushing the Red Army to the banks of the Volga River. During the defense of Stalingrad, the Soviets deployed six armies in and around the city, and an additional nine armies in the encirclement counter offensive. On 19 November, the Red Army launched Operation Uranus, a two-pronged attack targeting the weaker Romanian and Hungarian forces protecting the German flanks. Between 250,000 and 300,000 troops of General Friedrich Paulus’ German 6th Army, the Third and Fourth Romanian armies, and portions of the German Fourth Panzer Army were encircled. The trapped Axis personnel were hampered by the lack of fuel, ammunition and rations, and further burdened by the advancing Russian winter. The Luftwaffe began an attempt to supply German forces in Stalingrad through an air bridge, but proved incapable of carrying out its mission. General Erich von Manstein launched Operation Winter Storm on 12 December in an attempt to relieve the trapped armies at Stalingrad. On 16 December the Soviets initiated Operation Little Saturn, a pincer movement which threatened to cut off the relieving forces. Under threat of encirclement, Manstein had no choice but to retreat on 29 December, leaving the encircled Germans at Stalingrad to their fate. Due to the failure of the Sixth Army to breakout and the attempt to break the Soviet encirclement, the Red Army was able to continue the destruction of German forces in Stalingrad. Of the German forces surrounded in the Stalingrad, 105,000 surrendered, 35,000 left by air and the remaining 60,000 died. Over 10,000 soldiers continued to resist in isolated groups within the city. By early March 1943, the remaining small pockets of resistance had surrendered. Stalingrad marked the first time that the Nazi government publicly acknowledged a failure in its war effort; it was not only the first major setback for the German military, but a crushing defeat where German losses were almost equal to those of the Soviets was unprecedented. Prior losses of the Soviet Union were generally three times as high as the German ones. Before Stalingrad, Germany had gone from victory to victory, with a limited setback in the winter of 1941-42. After Stalingrad, they won no significant battles, even in summer. The Red Army had the initiative, and the Wehrmacht was in retreat. In North Africa, the British Eighth Army launched a major offensive, decisively defeating the German-Italian army during the Second Battle of El Alamein in late October 1942. After driving the Axis forces westward, the British captured Tripoli in mid-January 1943. The Operation Torch landings in early November 1942 forced the Germans and Italians to initiate a buildup of troops in Tunisia to fill the vacuum left by Vichy troops which had withdrawn. Following a period of stalemate during which time both sides continued to build up their forces, in the late February 1943, the Germans had some successes against the mainly inexperienced French and U.S. corps in eastern Tunisia, most notably in routing the Americans at the Battle of the Kasserine Pass. By the beginning of March, the Eighth Armyâ€”advancing westward along the North African coastâ€”had reached the Tunisian border. The Germans found themselves in an Allied “two army” pincer. They were outflanked, outmanned and outgunned. The British Eighth Army bypassed the Axis defense on the Mareth Line in late March and First Army in central Tunisia launched their main offensive in mid-April to squeeze the Axis forces until their resistance in Africa collapsed. The surrender of Axis forces in Tunisia on 13 May 1943 yielded over 275,000 prisoners of war. This huge loss of experienced troops greatly reduced the military capacity of the Axis powers, although the largest percentage of Axis troops escaped Tunisia. If the rest of the eastern front was included for 1942/1943 totals would likely be close to 10 million. The scale of men/materials ‘siphoned off’ in relation to what was occurring in the Soviet Union helps put things in perspective. At best it was 1/8 of axis strength, probably more like 1/10. My understanding is that after he experienced gas attack during ww1 trench warfare, Hitler refused to use chemical weapons in ww2. By the time the US could have dropped an atomic bomb on Berlin the Soviets would have already had it occupied. The North African military campaigns of World War II, waged between September 13, 1940, and May 13, 1943, had three phases: the Western Desert campaign (western Egypt and eastern Libya); Operation Torch (Algeria and Morocco); and the Tunisia campaign. The casualty figures WG cites are for the entire 1940-1943 period (not just the 1942 Operation Torch). The main point is clear: The Eastern Front was decisive in determining the outcome of World War II, eventually serving as the main reason for Germany’s defeat. The battles on the Eastern Front constituted the largest military confrontation in history. They were characterized by unprecedented ferocity, wholesale destruction, mass deportations, and immense loss of life variously due to combat, starvation, exposure, disease, and massacres. The Eastern Front, as the site of nearly all extermination camps, death marches, ghettos, and the majority of pogroms, was central to the Holocaust. Of the estimated 70 million deaths attributed to World War II, over 30 million, many of them civilian, occurred on the Eastern Front. @ Zachary Smith: Thank you, sir, for reminding the “USSR won the war” crowd of the indispensable help the North African campaign provided. Obama is a hollow puppet — but so representative of the US and its policies in the 21st century–(and well before) that one cringes to witness his immature antics. We come off as childish brats. At the same time, Ms. Merkel doesn’t shine much brighter. Why not be the first to stand up on time in place to show the world that there are some people who do believe that Truth matters. I just hope the US and its rotten-to-the-core leadership is deposed (and hopefully imprisoned) before they blow up the world. Children are known for burning the house down when they play with matches. The New American Century is seemingly based on brute force, selective emotional responses to facts, creating a very dangerous prospect for peace/stability/progress on the planet. Let’s hope someone has a better, face-saving approach to create a world order based on human progress, peaceful industrial complex…..The New American Century is not unfolding well, here or there….. The neocons who now so heavily influence US foreign policy seem to have forgotten history. In fact, the NATO-instigated 2014 so-called “Ukrainian Revolution” and its bloody aftermath were specifically timed to coincide with the 70th anniversary of the Soviet Dnieperâ€“Carpathian Offensive (24 December 1943 â€“ 14 April 1944), Crimean Offensive (8 April â€“ 12 May 1944), and Lvovâ€“Sandomierz Offensive (13 July 1944 â€“ 29 August 1944) operations that cleared the German troops from Ukraine. Soviet Storm: World War II in the East (Russian title: Ð¡Ð¾Ð²ÐµÑ‚ÑÐºÐ¸Ð¹ Ð¨Ñ‚Ð¾Ñ€Ð¼: Ð’Ñ‚Ð¾Ñ€Ð°Ñ Ð¼Ð¸Ñ€Ð¾Ð²Ð°Ñ Ð²Ð¾Ð¹Ð½Ð° Ð½Ð° Ð’Ð¾ÑÑ‚Ð¾ÐºÐµ) is a 2011 17-episode Russian television World War II documentary series. The exploits of the Nazi collaborationist Ukrainian 14th SS Grenadier Division ‘Galicia’ are documented at minutes 26:50-28:50. @Abe: Your use of the phrase “liberation of Ukraine” documents you as a soviet stooge. “It is as if Obama is saying that the â€œexceptionalâ€ United States didnâ€™t need anyoneâ€™s help to win World War II”. 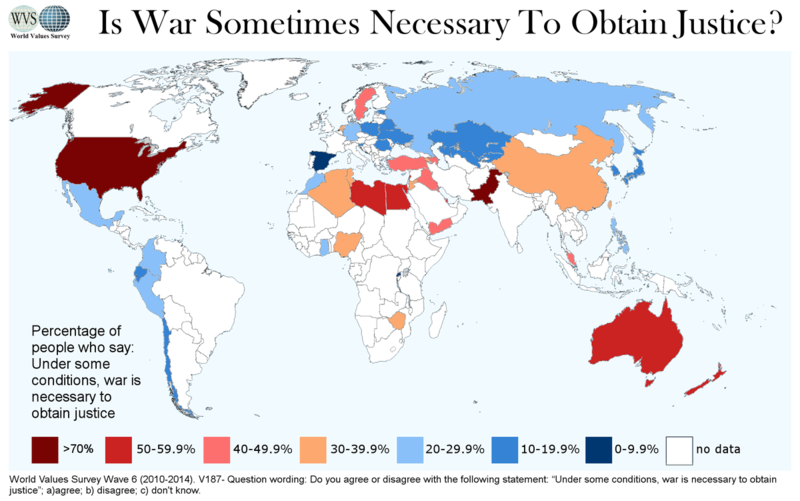 The “exceptional” United States came close to sitting out the whole of WW2 as a neutral. In 1939 FDR gave the French and British plenty of cause to believe he would have their backs if they declared war on Germany. Then he sat back and checked out his fingernails while the war in Europe raged. If it hadn’t been for Pearl Harbor, the whole thing might have been over before the USA lifted a finger. As it was, it was left to Japan and Germany to declare war on the USA – not the other way round. FDR needed reason to declare war, and that involves Congress. I realize undeclared wars of been the normal thing for the USA over the last 60+ years. But things were different. Get this straight, a declaration of war passed by the congress is required by the US constitution. It’s real simplistic (and frankly fascistic) to think that FDR could just order the US to war in 1939. As it was the US Navy did attack some German naval vessels in the north Atlantic before the start of the war. Call them conflicts and anything and everything is game: Korea, Vietnam, imperialist aggression in Central America. and if we had only had a few hundred thousand American soldiers in France in 1914 – that “war to end all wars” would have been over by Christmas of 1914 – right? Sorry: But We had NO Army in 1914 OR in 1939. Did you not read the comment to which I’d responded. You don’t look to have read mine. I have no comment on the first world war here, or the US entry into it. Do try to understand what somebody is saying before firing off a silly dismissal as if they made no sense. Anonymous made a simple good point, which was basically about casually ordering up wars, whether euphemistically labeled as “conflicts” or “police actions” or simply “Operation X”, especially when you reflect back on past history, when, unlike recent decades, there was not a massive standing military in place ready to charge into anything anywhere on a whim. Not dismissing the point that there wasn’t a big standing army in the USA in the later 1930s. I’m dismissing that it has anything to do with my point about FDR seeking an actual declaration of war from the Congress. FDR (without congressional approval) managed not only to keep England fed, armed and free until 7Dec1941 but maintained US neutrality by, if I am not incorrect, the use of Presidential Authority – “typical left-wing Dem – eh?”. Oh yeh, at that point, since Germany had invaded Russia six months earlier and was now an ally of England, when Adolph declared war on the USofA, we became open allies of England and thus their ally the USSR. How Mr. Churchill manage to leave FDR out of the loop about “Pearl Harbor” will not be known for another 25 years or so. PS Remind me again; what does our President have to do with this? If you’re going to enter into the conspiracy of perfect foreknowledge of a coming Japanese attack on Pearl Harbor, then Hitler had no intention of invading the UK. And let the English army go at Dunkirk. Sure a Japanese attack on Pearl Harbor had been guessed at. But there’s little evidence any party knew they were on there way until that morning. Back in reality, absolutely Lend Lease helped England. But England managed to bomb Berlin and inflict severe losses on the Luftwaffe in the “Battle of Britain”. Then Hitler devoted massive resources to invading the Soviet Union.